Imagine you’re flowing down the river of life and suddenly you get caught in a branch that spins you around and you’re no longer in the flow. There are many branches that may capture you on this river, each one with a different characteristics, this one represents how you MOVE your physical body. Lack of movement creates a stagnant body system, effecting your health, energy levels and emotional state. Often our main focus of movement is as exercise to burn fat, build muscles, improve cardiovascular health, move lymph and detox the body. These are all great steps towards health, inner peace and finding your flow, but this is only the beginning. 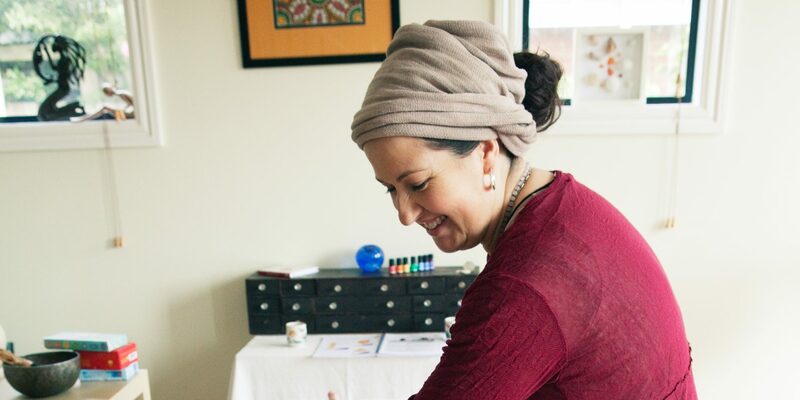 Movement can also connect you to your emotions, energetic nature and spiritual self, through this re-connection amazing healings takes place. This is when movement becomes therapeutic eg. Dance Movement Therapy (DMT). One DMT experience that had a dramatic affect on me was while dancing with my daughter who was 3 at the time. We were participants in a parent and child class. In this session the aim was to provide an environment for creative expression and connection. The teacher had laid out Mexican style hats around the room and we were invited to skip around the hats to Spanish music. It became a dance of leading and following. The music became gentler and we were asked to stop momentarily, make shapes with our body, and then move again. The shapes we made could be anything; arms open wide, scrunching into a ball, lay flat out on the ground. 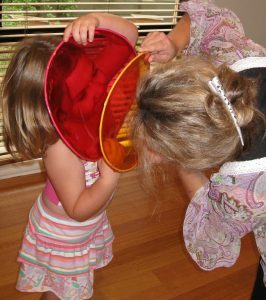 Then we added making shapes with each other; me down on all fours (hands and knees) and my daughter flopped over my back, my daughter doing a handstand against the wall and me wiggling in under her. It was a magical time of co-creativity, my heart suddenly exploded with pure joy and love in the moment. It was incredibly healing for me, like some aspect of my closed heart had broken open and I allowed deep love to penetrate into me. This was followed by deep peace and acceptance of all that was and all that had been. I had “let go” and was in the flow. Movement is an unsung hero when it comes to personal development and healing. We can discover so much about ourselves, release energy blockages and move towards a peace filled state and return to the flow. Hugs and shaking hands are movements, laughing and smiling are movement too. These can be done everyday if you allow them to be a part of your life. You have your own way to move, I dare you, get up right now and move a little ….. even if it’s just to shake your body before you read the next article. I have to express the appreciation of mine for the generosity of yours in support of females who actually want help on in this concern. Your special dedication that will get the message around seemed to be especially beneficial and have exclusively made regular people like me to achieve their endeavors. The interesting help signifies a lot to me and far more to the fellow workers of mine. Thanks a ton; from each one of us. I’m impressed, I must say. Actually rarely do I encounter a weblog that’s both educative and entertaining, and let me let you know, you could have hit the nail on the head. Your concept is outstanding; the issue is one thing that not enough persons are speaking intelligently about. I am very joyful that I stumbled throughout this in my search for something regarding this. I am only commenting to let you be aware of of the notable discovery my wife’s girl went through reading through the blog. She figured out a wide variety of things, including what it is like to have a great coaching spirit to let folks without problems learn about specific impossible matters. You actually did more than visitors’ desires. Thanks for showing the effective, dependable, informative and in addition easy guidance on the topic to Lizeth.